I love SAS and first joined in the late nineties. It is exciting to see SAS campaigns now influencing environmental policy makers. My husband and I beach clean daily whilst walking our dog “Goose” on Perranporth beach. 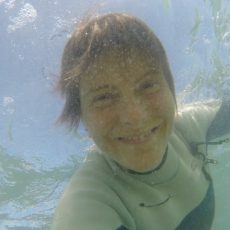 I am a freediver and also love handplaning and coastal yoga and I am currently researching the impact of blue space upon breath pattern and heart rate variability. As part of a role as Blue Mind ambassador, I lead 100 Days of Blue each summer – encouraging people to enjoy the health benefits of getting near, in, on and under water for 100 days in a row– a big part of this is reminding people to fall in love with blue space, so that they will protect it. I am excited to see a growing sense of community guardianship of the coastline here. I work as an outdoor coastal coach, so my work involves helping people make creative and wise decisions, the beach being a great location for this – as we can see both beauty and the impact of unwise environmental choices… a plastic footprint. 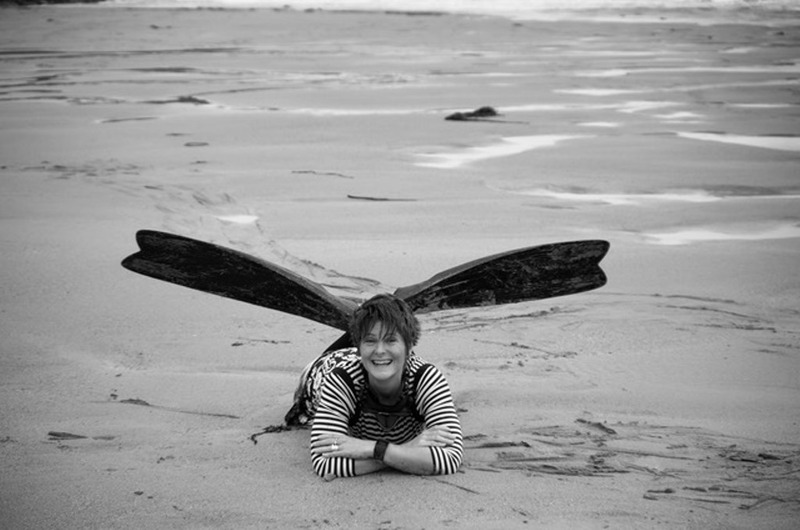 I’ve supported SAS through training, coaching, organizing beach cleans and fundraising and look forward to offering further support and meeting more great people as part of the Rep community.